RICHMOND is set to unleash marquee recruits Dion Prestia and Josh Caddy for the first time in the club's JLT Community Series opener against Adelaide at Etihad Stadium on Friday night. 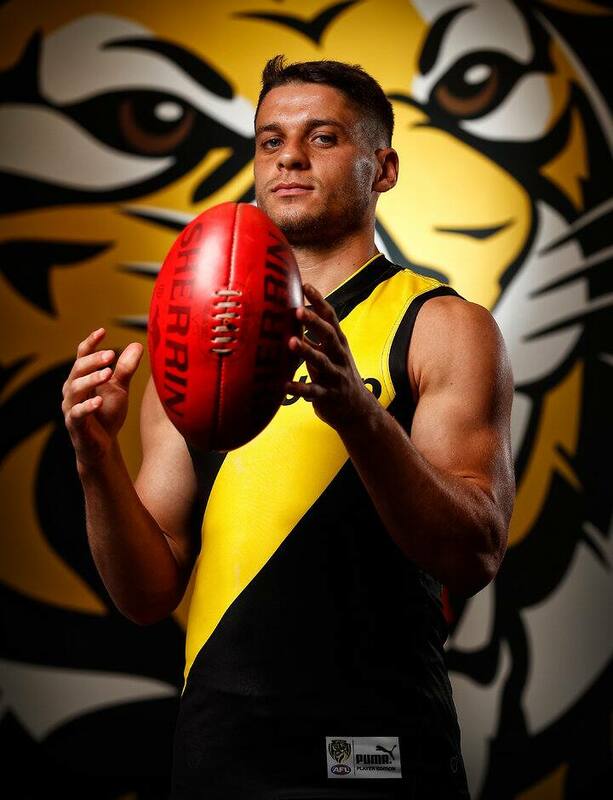 Prestia, traded from Gold Coast after playing 95 games in six seasons, has overcome a knee injury that ruined his 2016 campaign and has been in good form in recent intraclub hit-outs. The 24-year-old underwent knee surgery in July last year to fix the cartilage problem that he had battled with throughout the season. Former Cat Caddy is expected to spend plenty of time in the midfield alongside Prestia, both former teammates at the Suns, as the Tigers look to bolster their onball brigade. The recruitment of Prestia and Caddy could also lead to star Tiger Dustin Martin, regarded as one of the AFL's top players in one-on-one contests, spending more time forward of centre in 2017. The Tigers have also named ex-Swan Toby Nankervis to play his first game for his new club as he sets his sights on claiming the No.1 ruck position. However, Richmond will be without gun defender Alex Rance who is dealing with hamstring tendinitis. The Tigers are hopeful he will be fit for round one. The Crows have picked Troy Menzel in their squad for Friday night's contest. Menzel, formerly of the Blues and the brother of Geelong's Daniel, did not play a senior match after being traded by Carlton prior to the 2016 season. Another given the chance to impress against the Tigers is ex-Giant Curtly Hampton, who did not get the chance to play a game for the Crows in 2016 due to a serious foot injury. First-choice Adelaide onballers Rory Sloane (fractured eye socket), Brad Crouch (hamstring) and Scott Thompson (shoulder) are all unavailable for Friday night's contest. Inside midfielder Myles Poholke, drafted with pick No.44 in last year's NAB AFL Draft, has also been named in Adelaide's squad. Jordan Gallucci, the Crows' top pick (No.15 overall), has not been selected but is likely to appear in later JLT Series games. Dean Gore, the ex-Cat who was part of the Patrick Dangerfield trade package, is also part of the 29-man Adelaide squad.